Made by Dede is created by me, Ade Noviany Siregar. 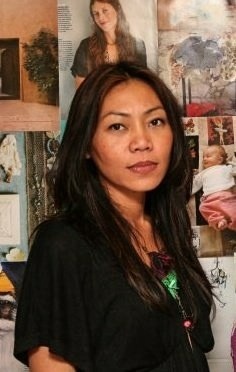 I arrived in Holland in 1991 from Indonesia and finished my studies in graphic design at KABK in Den Haag. During my study, I worked as an intern at a few different graphics and design companies including Oilily. More recently I worked as a decorator and interior design advisor where I became involved with rich, beautiful fabrics and wallpapers. It was here that I got my inspiration to start making my own bags. Initially I used fabrics and lace for my bags, but, because of the Dutch weather I switched to using excellent quality leathers.